Philippines - China wants to directly discuss and negotiate the crafting of the Code of Conduct of Parties in the South China Sea (COC) with the Association of Southeast Asian Nations (ASEAN). However, the Philippines has called on ASEAN to first arrive at a common and collective position. On Thursday, Chinese Foreign Ministry spokesperson Hong Lei said at a press conference in Beijing that China must take part in discussions and negotiations on the crafting of the COC before it is finalized and presented. "As part of the implementation of the Declaration on the Conduct of Parties in the West Philippines Sea (South China Sea) DOC, formulating the Code of Conduct in the South China Sea should be directly discussed and negotiated between China and ASEAN countries," he said. Hong said China and ASEAN have been actively implementing the DOC, including conducting relevant research programs and cooperative projects. He was reacting to an ASEAN country's statement that discussion of the main content of the COC should be ASEAN-centered and agreement should be reached among ASEAN countries before inviting China to join the discussion. Hong said China and ASEAN signed the DOC 10 years ago to promote peace and stability in the West South China Sea. "ASEAN has also reiterated that as a regional organization, it does not hold a position on the dispute, and the South China Sea dispute should be settled by the claimants through peaceful negotiations," he said. The DOC is not designed to resolve disputes over territorial sovereignty and maritime rights and interests in the South China Sea, Hong said. 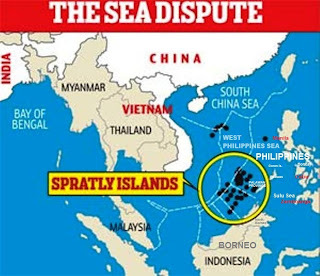 China claims the entire South China Sea. Taiwan and four ASEAN members - the Philippines, Malaysia, Brunei and Vietnam - also have overlapping claims to the territory. The Philippines is pleased that ASEAN is now working to identify the main elements of the regional Code of Conduct to be a legally binding instrument. President Aquino said during the Retreat Session of the 20th ASEAN Summit in Phnom Penh, Cambodia last week that the Philippines believes that the COC must be a real "move forward" in terms of substance, that it should contain not only provisions on cooperative activities but, more importantly, provisions on dispute settlement and the clarification and segregation of disputed and non-disputed areas. Aquino urged ASEAN member-states to arrive at a common and collective position on the COC before meeting with China to craft a legally binding code in the South China Sea, which the Philippines calls the West Philippine Sea. Aquino said the Philippines considers the peaceful resolution of the disputes in the West Philippine Sea through a rules-based approach under relevant dispute-settlement mechanisms of the United Nations Convention on the Law of the Sea (UNCLOS) as paramount to regional peace, stability, and progress. 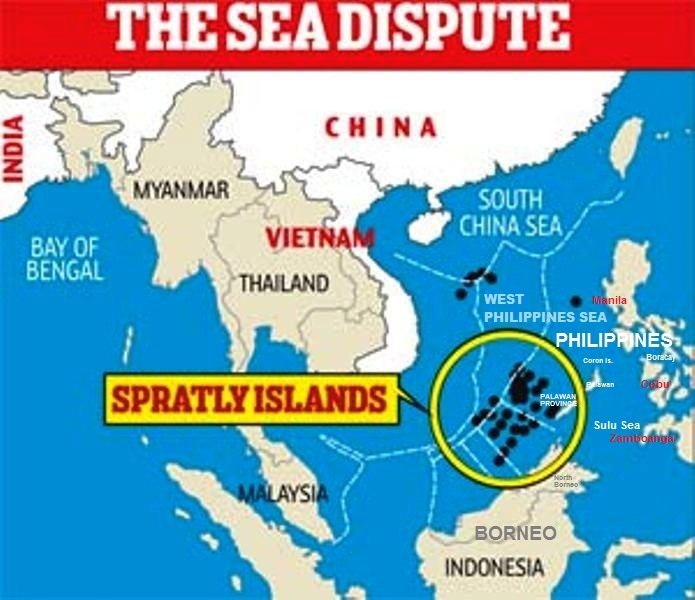 The Philippines has offered to host a meeting among claimant countries to the Spratly Islands, including China, to arrive at a peaceful and diplomatic resolution of the disputes. In a statement on the Code of Conduct of Parties in the South China Sea during the ASEAN Foreign Ministers Meeting in Phnom Penh last week, Foreign Affairs Secretary Albert del Rosario said the Philippines is pleased that the ASEAN Senior Officials Meeting (SOM) Working Group is now working to identify the main elements of the regional Code of Conduct. The Philippines believes that the COC must contain fundamental guidelines in which stakeholder-states are to conduct themselves in the West Philippine Sea, and mechanisms on dispute settlement including the appropriate structure for its effective implementation, he added. Del Rosario said the COC must clarify and segregate disputed from non-disputed areas in accordance with international law, including the UNCLOS. It must have provisions relating to cooperative activities, as may be appropriate, for the disputed areas, he added. Del Rosario said the Philippines adheres to the primacy of international law in resolving the disputes. "On the COC, it is important for ASEAN to first agree among themselves on the draft text of the COC before meeting with China," he said.